Canada and the United Kingdom are two countries many Filipinos wish to work. It offers a good salary and working conditions to Filipinos. However many people said, it is not easy to get access to works in Canada and in the UK because there are many requirements to be met. But if you push through eventually, your effort will be paid off. On the other hand, the Papua New Guiea is a country in southwestern Pacific that constantly hires Filipino workers to fill in the demand for their labor shortage. 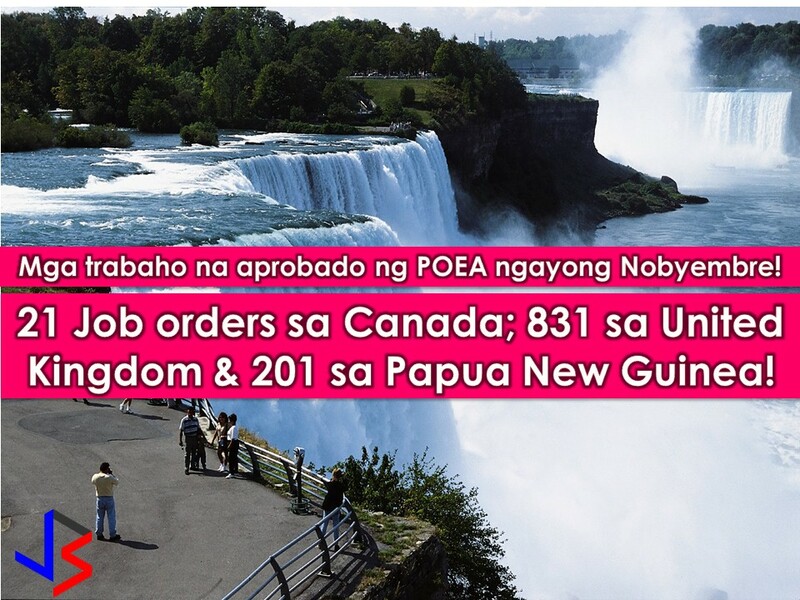 This November, these three countries have jobs orders to Filipinos that are approved by Philippine Overseas Employment Administration (POEA). To sum up, Canada is in need to 21 Filipino Workers, the UK is in need of 381 aside from open job orders while Papua New Guinea is in need of 201.